Since moving home in August, I’ve been able to make a few adjustments to my current bedroom. I’ve moved back home with my parents and have decided to have a little remodel in my room. 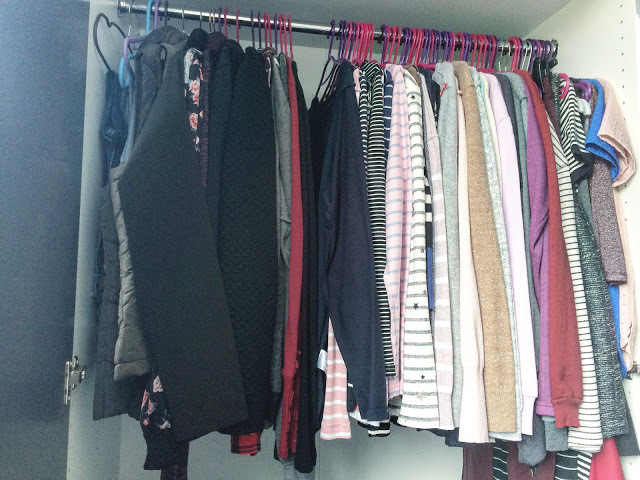 There aren’t any huge changes: we’ve just switched the layout around and added new wardrobes. We’re hoping to wallpaper in the next few weeks also but I thought I’d share a few of my favourite parts of my room. My colour scheme has been grey and white from the beginning but I usually add in an accent colour depending on the season. Often I add in dusky pink during spring/summer and pale blue during autumn/winter but I might change my mind this season! I quite fancy adding some burgundy and copper feels this time but burgundy can be an odd colour to match up! I usually purchase a blanket but I already own 4 so I might have to rethink this colour scheme. I haven’t got round to adding the extra touches just yet though! It might not be completely Pinterest-worthy but it’s mine! My bedside table I try to keep as bare as possible. 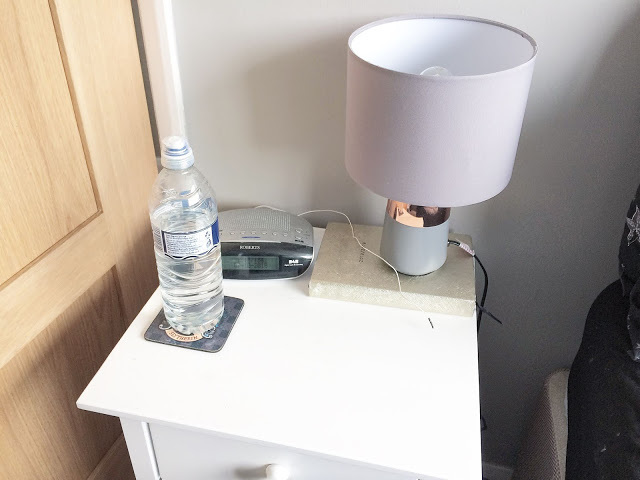 A lamp, an alarm clock, my food diary and a coaster (I always have a drink with me). I try to keep this top as clear as possible. I usually keep my phone on here too but I needed it for the photos! However, avoid the top drawer: it’s full of junk! 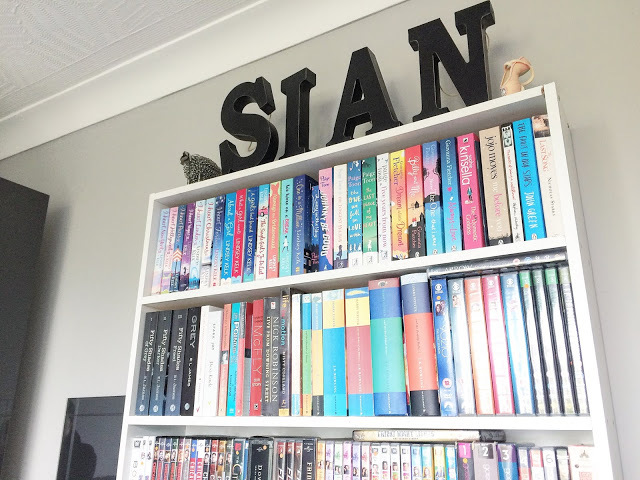 Probably my favourite part of my room is my bookshelf. If you read my TV dramas post, you’ll have seen that I keep books and DVDs on here. I don’t have as many books as I used to, I just kept the ones I read the most and the ones I haven’t even read yet! Then I divide my DVDs into TV box sets, musicals and normal films. They must be alphabetical! I shuffled my room around and switched my bed to face the opposite way. This meant I had a little more wardrobe space and I could still keep my lovely white drawers. 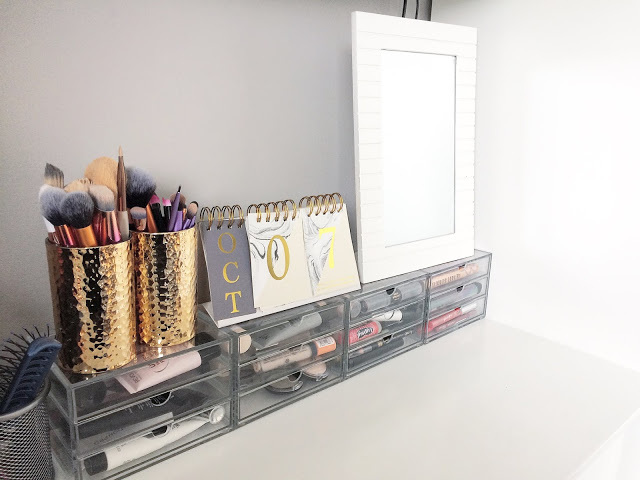 My room isn’t big enough for a desk/dressing table so this is also my make-up station! I keep my most used toiletries in this black basket as well as my hairbrushes/comb. It’s easier to be able to grab them off the top of my drawers and go. I also love these acrylic cotton bud and cotton pad holders; they make such dull items look slightly prettier! Oh my pretties! I was tempted to get rid of these acrylic drawers but I still love them. I also have three smaller drawers below full of various make-up: foundations, setting sprays, allllll the palettes and most of my lip products. 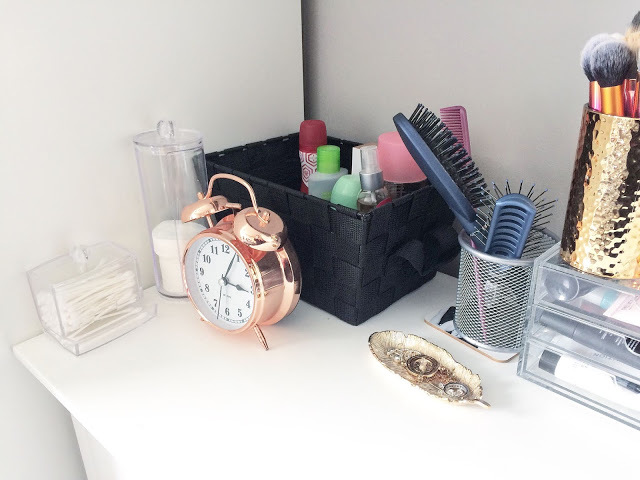 I like how I can see how all of my products and as I reduce my collection, I might be able to reduce my other drawers too! 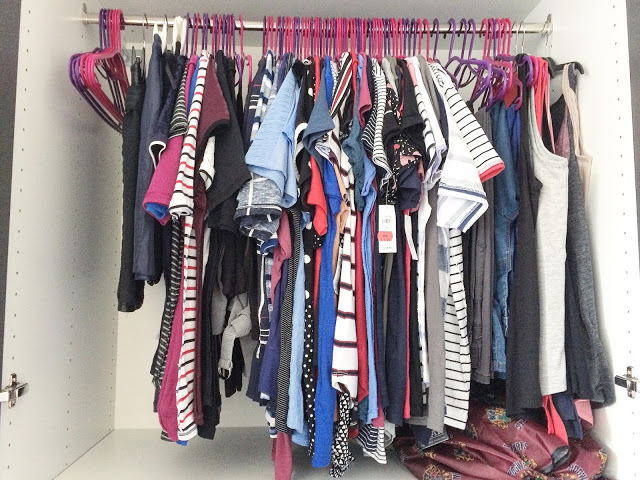 Now for a sneak peek in my wardrobe (I’ll be doing a more in-depth post about it later this year though!). It’s not quite how I want it yet but I have plenty of space finally! All of my shoes are on display which is the best! 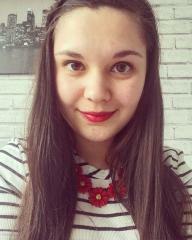 Yes, I like my shoes! Above my shoes are my warmer clothing and longer clothes. There are some thicker jeans, zip ups, jumpers, sweatshirts, long sleeved tops and dresses. The idea is that currently, I don’t need to go in this wardrobe as much so it’s further away from everything else. However, now it’s getting colder, I need to switch things around! My second wardrobe is better for shorter items of clothing. It originally came with one rail but my dad added a second rail so I could hang more stuff up! At the top, I keep my workwear on the left and my general tops and jeans on the right. I do need to whittle down my stuff though because it’s still quite jam-packed. The bottom half of my wardrobe is my miscellaneous category. 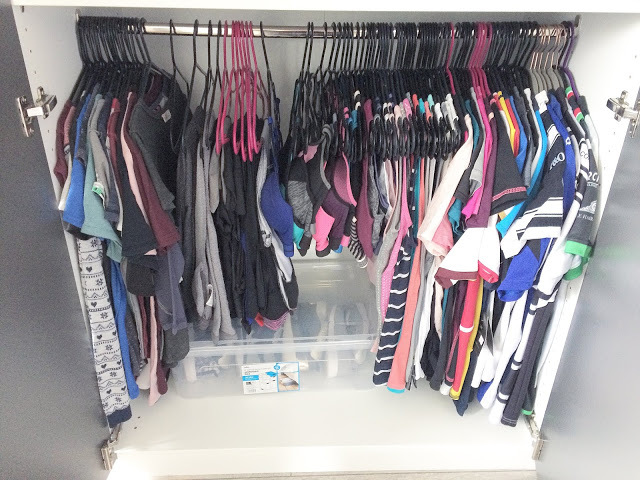 I have my lazy, in-house t-shirts next to all of my gymwear: leggings/shorts, sports bras, vests and t-shirts. I also have all of my sports shirts on the right-hand side. It’s just a quick look at my space. For me, it’s important to have my room feel relaxing because when I’m not at work, I live in there. I do my work in there, I watch TV in there, I sleep in there obvs. 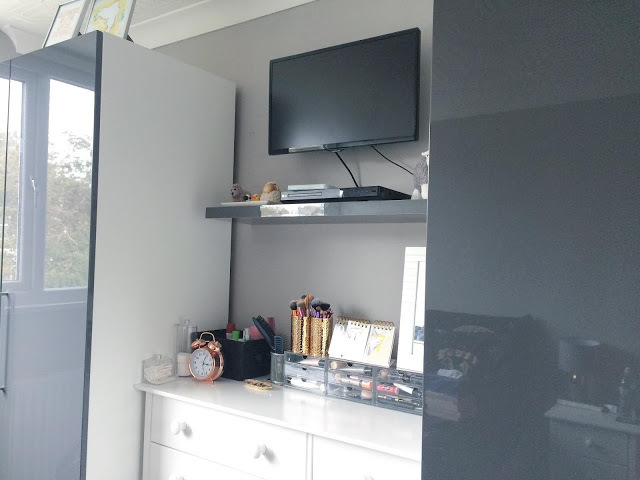 I might do a further update on my room once I have it fully finished, especially come Christmas time! 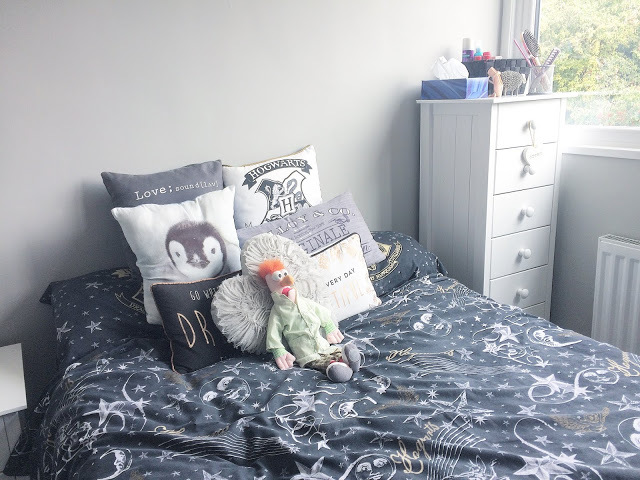 What is your favourite part of your bedroom? Leave me a comment below!